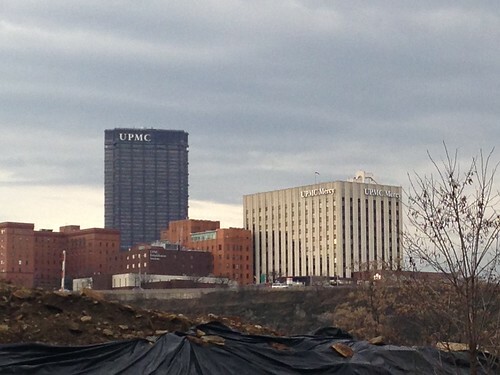 If you’re like most Pittsburghers, you can’t go far without seeing UPMC. 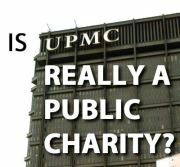 From the corporate healthcare Goliath’s million dollar sign at the top of the US Steel tower, to UPMC hospitals and medical facilities, the hundreds of billboards and ads on the sides of busses, we all know too well just how real – and how very big – UPMC is. In this week’s City Paper, Charlie Deitch reports the shocking news that UPMC doesn’t actually exist, at least according it’s lawyers. As Pittsburgh’s dominant health system and largest employer, UPMC is a key community asset that plays a vital role in our region’s economy. The people of Pittsburgh and Allegheny County share a common stake in UPMC’s growth and success. With success comes a serious set of responsibilities to the members of our community – healthcare consumers, taxpayers, and employees. As our region’s largest tax-exempt charity, UPMC must put the strength and health of our community first. Over the last decade we have watched while UPMC executives have built a regional and even global corporate empire, marked by excessive executive compensation; closing down hospitals in underserved neighborhoods and opening them in affluent suburbs and foreign countries; attempting to deny access to millions of patients who are Highmark subscribers; failing to pay their fair share to support vital public services like schools, transit, and public health infrastructure; and harassing employees who are exercising their right to form a union to advocate for quality, middle class jobs for our community. We call upon UPMC to begin living up to its responsibilities as our community’s largest tax-exempt charity by embracing the following Code of Conduct for a Strong, Healthy Pittsburgh. Guaranteeing equal access to our community’s healthcare institutions. UPMC will ensure affordable access to all of its healthcare facilities and services and will not discriminate based on insurance status. Paying its fair share to support public services. UPMC will contribute its fair share to support vital public services such as our schools, our transit system, and our public health infrastructure. Respecting employees’ rights and supporting good, safe, middle class jobs for our community. 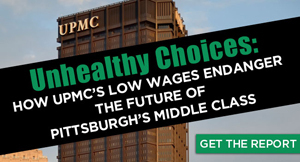 UPMC will ensure family sustaining wages and benefits for all employees. UPMC will respect caregivers’ freedom to form a union for a voice at work, cease and desist from interfering with employees’ exercise of their rights, and refrain from spending healthcare resources on anti-union consultants and campaigning. Promoting our community’s health. UPMC will work with local officials, advocacy organizations, and the other healthcare providers to improve our community’s health status by promoting quality primary and preventive healthcare across our region and seeking to eliminate health disparities. Charitable hospitals have been a part of healthcare since the founding of our country. Churches created hospitals to care for the needy and the sick, and the public exempted them from further obligations to our community since they provided so much care free of charge. It seemed like a win-win for everyone. Many of today’s charitable hospitals don’t look much like charities, but they’re still getting the same tax benefits. When Presbyterian Hospital (now part of UPMC) was founded in 1893 by a minister’s wife, its mission was to serve the sick and poor immigrants of Pittsburgh who had nowhere else to go. Pittsburgh’s Presbyterian community had to raise money just to keep the doors open. It’s been a good few weeks for the workers at UPMC and the people of Pittsburgh. Since early in 2012, UPMC workers have been courageously standing up for better jobs despite intimidation, threats, and coercion from UPMC executives and managers. Right before the holidays, their courage paid off. 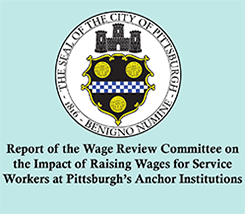 The regional office of the National Labor Relations Board brought a complaint alleging that UPMC executives and management carried out more than 80 violations of workers’ rights.